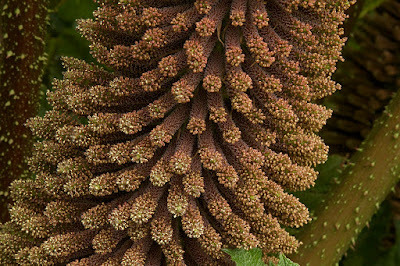 Gunnera manicata is one of the most architectural of all garden plants and boasts the largest possible leaf size of any plant that can be grown in the United Kingdom. 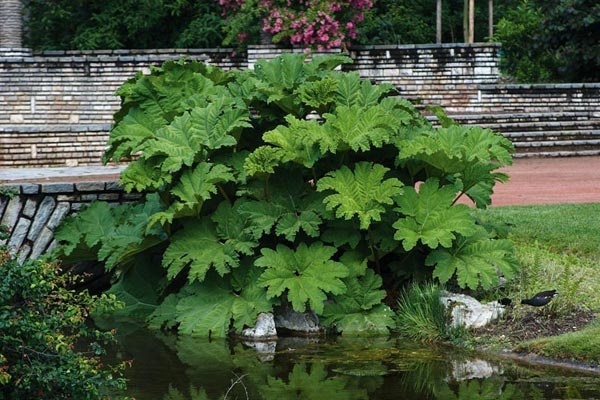 Perhaps more commonly known as the Giant Ornamental Rhubarb, it is best grown in either full sun or light shade in a deep, moist soil. It is always best to sow seeds as fresh as possible so collecting your own seed with a view to immediate sowing will always be the best practice. Failing that, shop-bought seed should be kept refrigerated in its original packaging until you are ready to sow them. Sow shop-bought seeds March or April into large modular seed trays containing a good quality soil-based compost such as John Innes 'Seed and Cutting'. Water the compost thoroughly before sowing at a rate of one seed per module. Gunnera manicata seeds will require the presence of light to help initiate germination so only cover with a thin layer of horticultural grit or vermiculite. Cover the tray with a sheet of horticultural or otherwise glass, or clear plastic, and keep moist by misting often. Keep at a temperature of between 20 to 25°C and you can expect the seedlings to begin emerging anytime from 15 to 60 days. Once germinated remove any coverings and do not allow temperatures to drop below 10°C. Leave the seedlings to grow on in their modules for their first year - hence the use of large modules. Provided a diluted rate of a good quality liquid fertiliser during the growing season, and never let the seedlings dry out or become exposed to full or direct sun. Once they are large enough pot on into 3 inch pots containing John Innes 'No 1 or 2', then eventually 5-6 inch pots while still overwintering in a frost-free environment. The following spring they can be planted out into their final position once the threat of late frosts has passed. 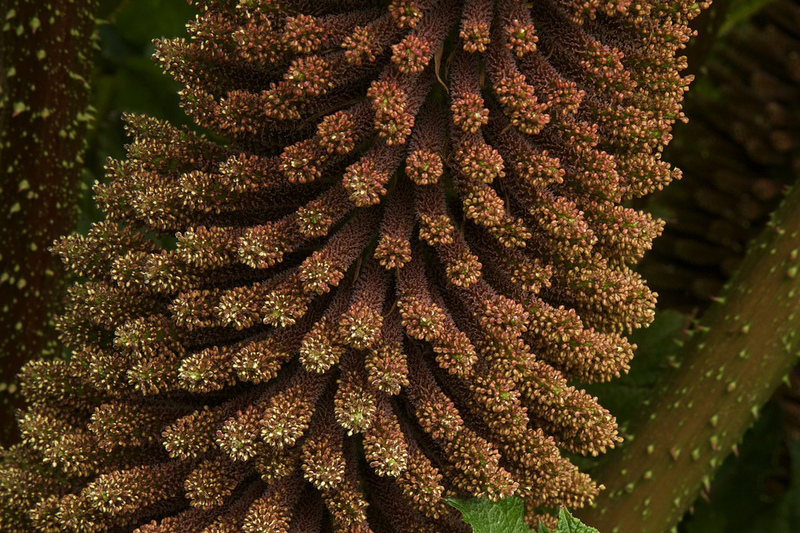 You can increase stocks of Gunnera manicata using the small crowns that form around the sides and base of older specimens. In late May or April, remove any of the small crowns which have rooted and plant into suitably sized pots containing John Innes 'No2' compost. Keep the young plants shaded and the roots moist until they have become well established. 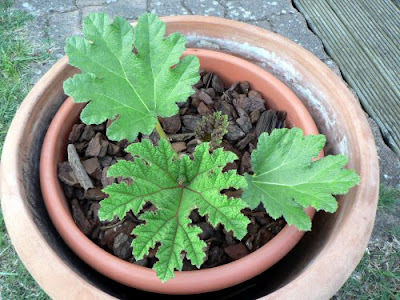 Now plunge the pots into an ash or peat bed and then treat the same way as seed grown plants over their first winter.